Duplicate Job Estimate Forms In Books 215B At Print EZ. Duplicate Job Estimate Forms In Books Item No. 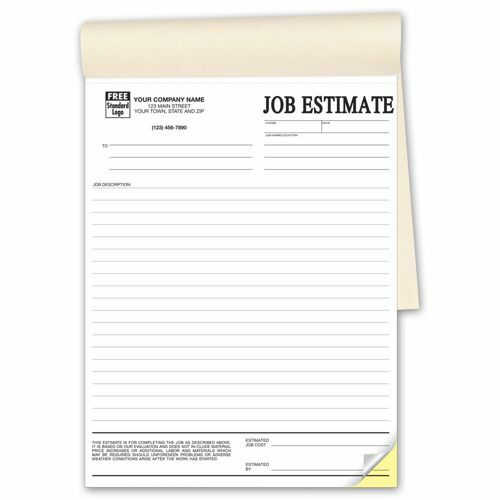 215B Size: 8 1/2" x 11"
Job estimates go a long way in ensuring a conversation since more clients tend to compare the estimates of various providers. 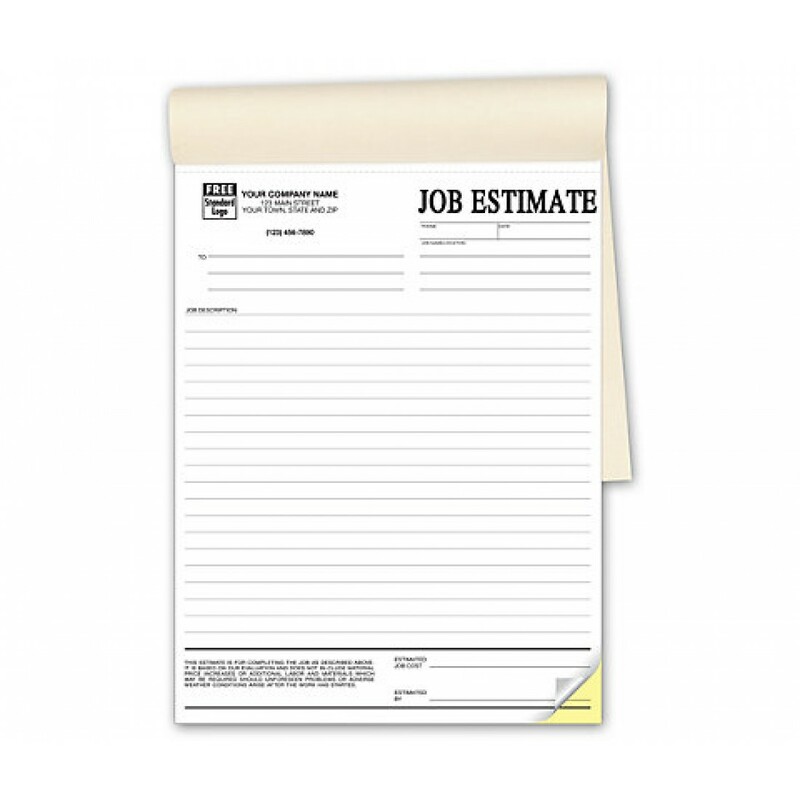 Our duplicate job estimate forms in books have been designed to make these conversations more likely and help you to manage your estimates with greater ease. Use the easy to follow format to make out the estimate and hand over one copy to the client, while retaining the other for you own reference. The bottom of the form has rules printed out, which saves you the trouble of writing them out over and over again. Print your company logo name and address on each form at no extra cost, so as to make it easy for the client to remember the company that gave the estimate and thus help in quicker conversations. This product was great for our business. I highly recommend it.